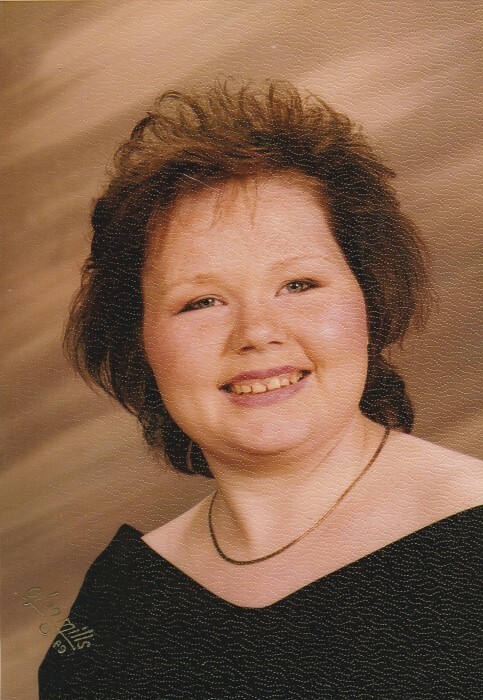 Juanita Sue Stafford, age 47, of Tomahawk, KY, passed away April 10, 2019 at the Hospice House in Ashland, KY. Jesus called her home around 8 PM with her family by her side. She was born on April 3, 1972 to the late Gary Stafford and Mary Carter Stafford in Tomahawk, KY. In addition to her mother, Mary, she is survived by her brothers and sisters, Gretta (Timothy) Ward of Milo, KY, Carmel (Danny) Cline of Debord, KY, Gary Lynn (Brandy) Stafford of Tomahawk, KY, Helen (Justin Scott) Proctor of Inez, KY, Mary Jo (Elbert Lee) Osborne of Warfield, KY, John (Amber Mills) Stafford of Inez, KY and Shane (Trista) Stafford of Inez, KY and sister-in-law, Jolene Stafford of Inez, KY. She is also survived by 5 nieces, 10 nephews, 2 great nephews and 3 great nieces, one of which is Isabella Grace Crum, who loved her "Nena." Funeral services will be held on Sunday, April 14, 2019 at 2:00 PM in the chapel of Crum Funeral Home with Luther Fletcher officiating. Burial will follow in the Stafford Cemetery, Tomahawk, KY. Friends and family may visit at the funeral home from 6 PM to 9 PM on Friday and all day Saturday. Arrangements are under the direction of Crum Funeral Home of Inez, KY.